It's been a while since I've posted on the blog lately so I thought I'd better give an update of the last six months or so. We moved from Melbourne to Tasmania where I took up the position of Assistant Minister at Wellspring Anglican Church (located in Hobart). We're really excited to be part of what God is doing in this part of the world. 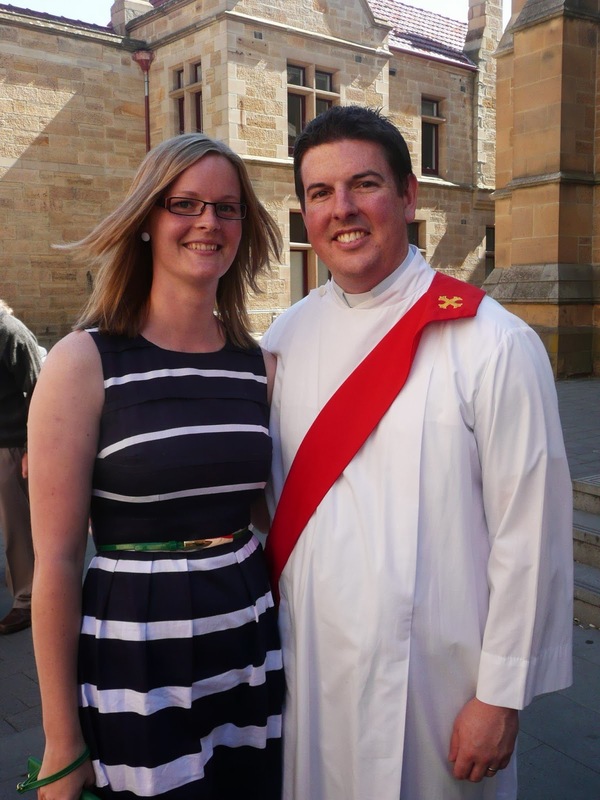 I became (got ordained) an Anglican Deacon and will hopefully become a 'priest' in the near future. In a week from now I will head to Germany for my final subject which will mean my Masters of Divinity from Ridley Melbourne will be completed (assuming I don't fail the final assignment when I get back). I've updated the blog template which I think is a little nicer. We're really enjoying life in Tasmania and think you should come visit this beautiful part of God's creation!